How do you get back into shape and stay fit? The thought of getting back on a treadmill after years of inactivity seems daunting to some and unimaginable to many. We go to work, come home, take care of the endless chores, occasionally go out with friends and struggle to find time to rest. Many of us go through stages in life where fitness and health fall off the priority list and we use excuses such as ‘I don’t have time’ or ‘I’ll look into it next week’ to brush off any chance of even contemplating exercising. But have we ever stopped to think what the benefits are and what it would take to lead a healthy life style? The truth is it’s not that hard to get back on the fitness bandwagon so long as you are motivated. Why get back into shape? Patricia Cree (Pat) and Fiona Morrison (Fi), freshly appointed personal trainers at the Wentworth Falls Country Club gym, strongly believe that by incorporating an element of exercise in your lifestyle you may feel better mentally and physically thus improving your business and personal life and living longer. One key aspect of exercising is that it releases endorphins, the hormones that make you feel good, so not only are you losing weight or getting into shape but you are more upbeat too! According to WJ Kraemer, ‘proper exercise prescription may result in improved body composition, physical performance, heart condition and health outcomes’. Furthermore a gradual progression into fitness strengthens and stretches your muscles and reduces your body fat thus in turn reducing your aches and pains. Many people have lower back pains from sitting down at a desk all day or from bad posture, getting back into shape will help take care of this as well. Another element of fitness that is often discounted is that you get to meet people. Whether you sign up to the gym or to a zumba class you will inevitably socialize with others and hopefully feel motivated by likeminded people. If you’re thinking you have to lose 20 pounds for a wedding or to fit back into your swimsuit – think again. Getting back into shape is not about the quick fix solution that will leave you dissatisfied, hungry and worse off than when you started. It is about finding a long-term motivation like feeling better, performing better at work or enjoying your personal life more. A motivation backed by a number of goals is essential as it allows you to monitor your progress and see whether your efforts match your expectations. So the first step is to determine your goals and be convinced that you will keep at it (as Tim Frazer would say) in the long run. A simple way to start off is by making fitness part of your everyday life. Do you drive to work every day? Why don’t you walk for ten minutes and hop on a bus instead. That way you will have included 20 minutes of exercise in your day, 5 days a week. Do you live close enough to walk to the shops rather than drive? That adds another 15 minutes each way plus the exercise involved in carrying the bags back home. Making exercise an integral part of your daily routines becomes essential in achieving your fitness goals and sticking with them. You’re sold on fitness and walk to work. What’s next? The next step would be to assess your level of fitness. It is always advisable to have a chat with a personal trainer when assessing one’s fitness level as we might be slightly biased. We might think we are reasonably fit given the fact that we used to be footie champions back in school but this might actually be misleading. This is more so the case for people who have not been active for quite a while. A personal trainer will be able to identify your level of training and inform you as to what the best exercises are to achieve your goal. Furthermore they may also put together a training program especially tailored to your needs. The training program is fundamental as it allows you to follow a routine from warming up to cooling down and to vary exercises daily in order to include all muscle groups. Putting together a training program doesn’t take long and saves you a lot of time researching exercises and sticking to them. Maintaining constant levels of motivation can be tough, especially at the beginning, which is when most people give up. How many of us have started a sport convinced it would be for the long term and have thrown in the towel soon after? Again, motivation is key and a way to keep it alive is with a personal trainer. Personal trainers are fitness professionals involved in exercise prescription and instruction. Their main role is that of motivating clients by helping achieve goals and providing feedback and accountability to clients. They can also measure their client’s strengths and weaknesses with fitness assessments. A personal trainer can also ensure you learn safe and effective exercise techniques. 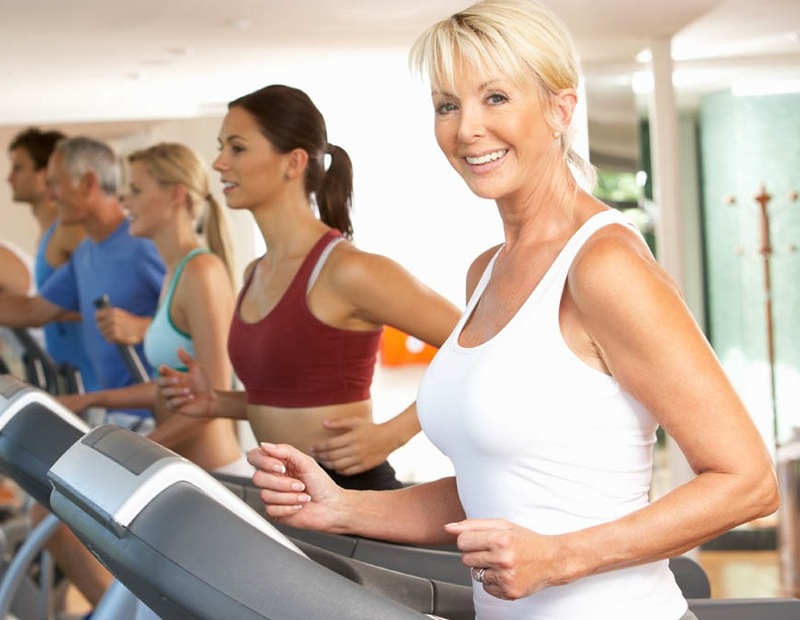 Personal trainers inspire you to exercise harder and better thus getting back into shape in a shorter period of time. Some of us might think that’s great, I’ll exercise every day for an hour and I’ll be fit in no time! Getting back into shape is about analyzing and modifying all the aspects that may have an effect on your health and fitness. What you eat and drink is one of the primary ones. Following a balanced diet, minimizing ‘empty’ calories such as soft drinks and eating less but more often is a good start. Fi and Pat are very knowledgeable in this as well and may assist you in putting together a healthy and exciting diet for you and possibly your family. Sleep is also very important. You may think you are doing everything right from a fitness and food perspective, but if you are not resting adequately your body has not time to reenergize and regroup. Short periods and poor quality of sleep can lead to the release of hormones that regulate your feeling of hunger, namely leptin and ghrelin according to Dr. Rapaport from the University School of Medicine of New York. One of the studies showed that ‘when sleep was restricted, leptin levels went down and ghrelin levels went up. Not surprisingly, the men’s appetite also increased proportionally. Their desire for high carbohydrate, calorie-dense foods increased by a whopping 45%’. Fiona and Patricia have recently joined the Wentworth Falls Country Club gym as Personal Trainers and are looking forward to meeting members and visitors alike. We would love to hear your stories related to getting back into shape so please feel free to leave a comment below or come into the WFCC gym and have a chat with Pat and Fi. Best of luck with your endeavours and don’t forget to keep at it! Categories: Back in shape | Tags: blue mountains, fitness, golf blue mountains, golf nsw, health and fitness, personal trainer, wentworth falls, wentworth falls country club, wfcc | Permalink.